The Hawks are the “class” of the GMC so far this season and stand undefeated with perfect 11-0 and 8-0 records at the season’s halfway point. East has held their opponents to only 4 total runs with 8 wins coming by shutout. 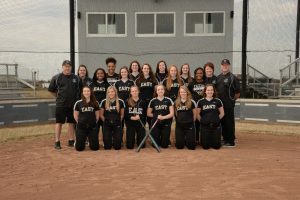 The Hawks have already knocked off GMC foe, Mason 2-1 and will have one more game with the Comets this Monday that may decide the 2019 league championship. East is coached by Steve Castner.